Therea��s something about Munch that makes you feel right at home when you walk in. 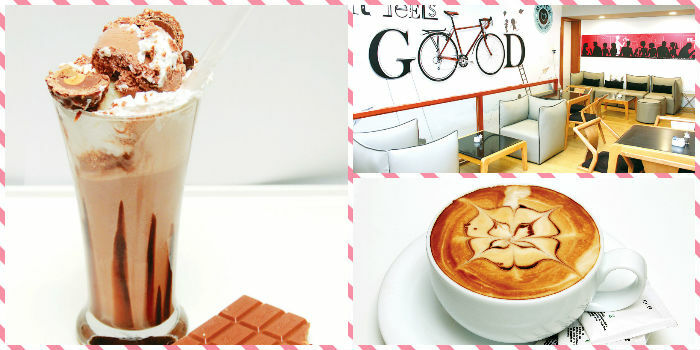 Maybe ita��s the compact nature of the cafe that gives off a cozy vibe, or perhaps the lifelike bicycle drawn on a wall, that brings back memories of school. Whatever the case, this three-week-old cafe on Poonamalee High Road makes you want to stay that little while longer. Technically an extension of the Fortel hotel in Egmore, this 40-seater cafe, spread across two floors, showcases pastries, baked treats and some quick eats, with a long list of beverages. As he shares a few recommendations from their menu, owner Siddharth K Ramesh, whose family has been in the hotel industry for the past 40 years, shares that they might be expanding with al fresco seating soon. We try a Mexican calzone and blueberry muffin, which though a bit crumbly, scores brownie points for arriving warm (all their pastries in fact). The delicate calzone has us wondering if they have any breads on sale. And to our delight, they promise a selection of breads in a week.Staying clear of the usual cappuccinos and lattes, we choose to go with a couple of shakes and a fruit smoothie, which we are told has seen repeat orders. While the Lindt shake is a light affair, the Oreo shake has an addictive spin, courtesy some strong coffee mixed in. As for the smoothie, with at least five different fruits blended in soy milk, ita��s exactly what the doctor prescribed. We cana��t wait to taste their English and American set breakfasts that Ramesh promises will be launched in a week.If you happen to pay them a visit, do spend a minute at their display of Basilur teas (Sri Lankan) that come in interesting gift boxes.